Would you rather spend your precious spare time doing other more enjoyable activities? Does your grass just not grow due to bad soil or poor sunlight? Join the expanding number of people who have chosen an EaziLawn surface, a high quality synthetic grass which can be enjoyed 365 days a year! Low maintenance and affordable you’ll need a 2nd glance to check that it is not the real deal. The EaziLawn team can offer a supply only solution or supply and install of the EaziLawn synthetic surface. Just as importantly they can carry out the complete installation including all base works so you can sit back and relax knowing that everything has been taken care of. Our Eazilawn experts will survey your area and give you a fully itemised quote. 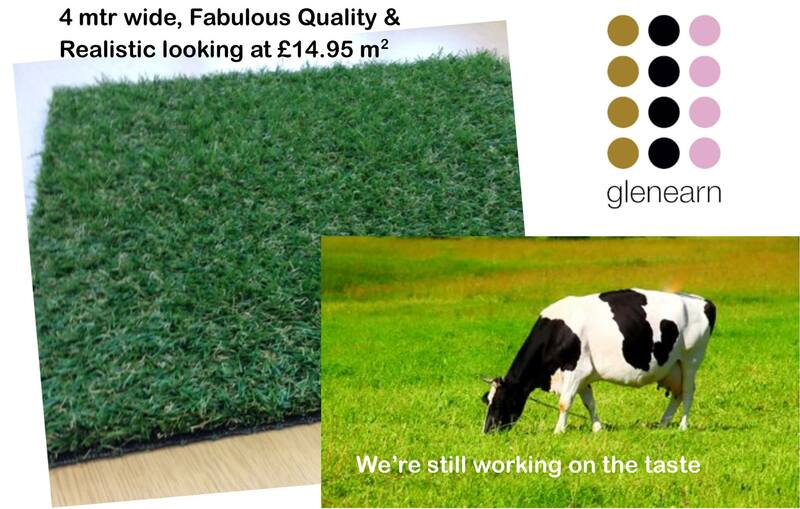 Call into Glenearn today to see our samples and arrange your survey!